Shomrei Neshama is Maryland’s premier Jewish Orthodox Funeral Home. Shomrei Neshama of Greater Washington is the first Orthodox Jewish funeral home in the Washington D.C area. It is a supreme Jewish belief that funerals are a sacred rite, deserving of dignity and filled in tradition. Located in Rockville Maryland and serving the residents of Rockville and surrounding areas, Shomrei Neshama is Maryland’s premier Jewish Orthodox Funeral Home. Shomrei Neshama of Greater Washington is the first Orthodox Jewish funeral home in the Washington D.C area. They are uniquely sensitive to the customs and traditions of the Orthodox Jewish faith. 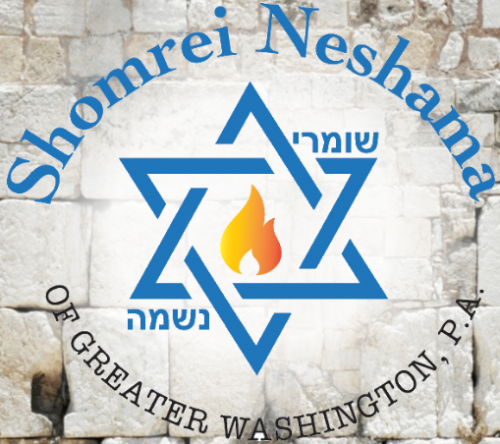 The experienced and caring staff at Shomrei Neshama of Greater Washington are here to help guide families through a difficult time of sadness.To learn more about the wonderful services provided at Shomrei Neshama of Greater Washington, visit their website at https://www.shomreineshama.com/. When death occurs, both the family of the deceased and the soul of the deceased are faced with a difficult journey. According to the Talmud and the Kabbalah, the soul does not completely leave this world until after burial. For families and friends there are three key principles that must be remembered when death occurs. They are respect for the dignity and holiness of the body, the expeditious return of the body to the Earth from which it formed, and finally the fortifying the soul in its continuing journey. Some ritual practices that bereaved families can engage in are “The True Judge” blessing, those present at the time of death recite the blessing: Baruch Dayan Ha’emet- “Blessed be the true judge. After death, the eyes and mouth of the deceased should be closed, and a sheet drawn over the person’s face. The body of deceased should then be placed on the floor and candles should be lit near the deceased’s head. These rituals together with the ones listed here: https://www.shomreineshama.com/preparing-for-the-death provide comfort and guidance for the soul of the deceased. Jewish law is clear that the body in its entirety must be returned to the Earth, for the natural process of decay to occur. Shomrei Neshama does not offer cremation services or embalming services. These two acts prevent the body from decaying and are a violation of Jewish law. Instead Shomrei Neshama provides simple Orthodox pine caskets that will help the body decay. Furthermore, Shomrei Neshama requires tahara, or the ritual washing of the body be performed. After the body is purified, it is dressed in white clothing, signifying purity, and holiness. The basic components of an Orthodox funeral service are Keriah, the rending of the garments. Usually done at the beginning of the service, the relatives of the deceased are required to express their sorrow by tearing their clothes over their hearts. The Hesped, or Eulogy. This is done either by the officiating rabbi or someone who knew the deceased. Good deeds of the deceased are spoken. Mourners accompany the deceased to their final resting place and the body is returned to the Earth. Ideally, the grave should be filled in, by hand, by fellow Jews. Additionally, Jews should strive to be buried in a Jewish cemetery with other Jews. If it is the wish of the families or the deceased, Shomrei Neshama will make arrangements to have the deceased shipped to Israel as quickly as possible for burial in Israel. Only at Shomrei Neshama will one find special “Guardian Care” service, where the funeral home and the care of all those coming to them are supervised by Shomer Shabbat employees in order that all relevant Jewish law and practice are observed to the highest standard possible. Shomrei Neshama is the only funeral home in the Washington Metro Area that adheres to the highest standards of Halacha.